This beautiful, one of a kind, contemporary brick home brings the forest in-doors with its expansive clerestory windows, soaring ceiling heights and modern spaces that allow for any Buyer's personal vision.4 bedrooms and 4 full baths, this home comes furnished. 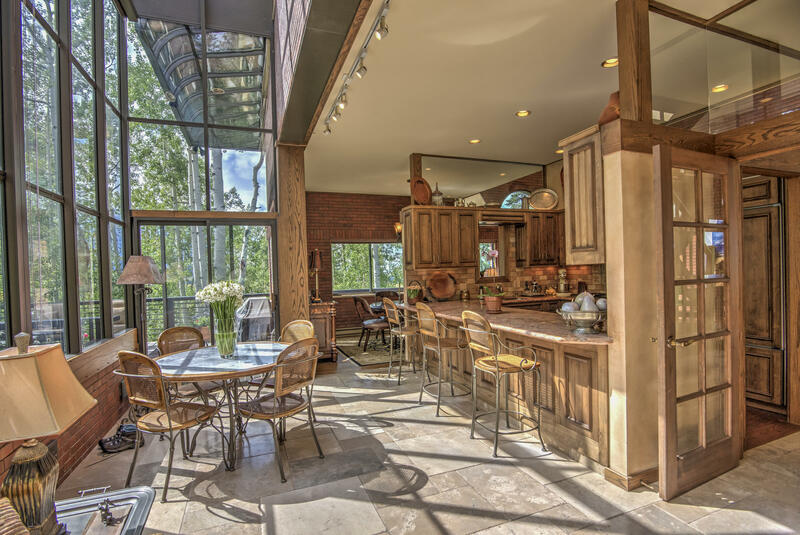 A delightful kitchen that holds your attention in the center of the house, and a warm inviting sunroom to start your day in are only a few of this unique homes attributes. A wood burning fireplace invites you to curl up with a good book on a cold winters night, and the Sky doors allow endless sunshine to flow through the home on one of our frequent Colorado Bluebird days.This is a property that you must experience and explore. It is truly one of a kind!